NIM simplifies and improves pipeline collaboration, integration and security for artists worldwide. 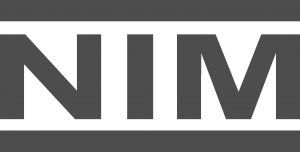 LOS ANGELES – August 11, 2015 – NIM Labs today announced NIM, a browser-based studio management tool, at Siggraph (booth #208). NIM tracks the production pipeline from start to finish in a secure environment, serving as the central hub of any post production studio. Incubated within Ntropic, a post production and visual effects studio with 20 years of experience, NIM’s comprehensive feature set addresses every stage of production from asset management, shot tracking and creative review, to bidding, scheduling and job actualization – all within the NIM platform’s clean aesthetic and sophisticated design . NIM evolved from a need for an end-to-end solution for managing the entire post production business, instead of relying on multiple programs focused on different individual aspects of production. NIM Labs set out to create a streamlined, centralized point of entry for studios ranging from multi-site facilities to the single artist working alone to efficiently improve post production job management resulting in time and cost savings. Creation: NIM lets artists focus on their own inspiration. Designed with the creative in mind, NIM is a visual toolset designed to assist in the production process every step of the way. Collaboration: Designed as a collaborative tool, NIM can facilitate communication across offices worldwide, bringing artists together sharing concepts, ideas and feedback in a single space. Integration: NIM works directly with popular studio tools with out of the box integration for The Foundry’s NukeStudio, Nuke, and Hiero, Autodesk Maya, Maxon C4D, Adobe AfterEffects and Thinkbox Software’s Deadline render management system. NIM also provides a full-featured API to extend its reach into the inner workings of any studio. Support: Whether you have a simple question about adding shots and assigning tasks or need custom tools developed to integrate NIM with a proprietary pipeline, technical support is available and ready to help you get the job done. In contrast to cloud-based solutions, NIM is a virtual machine that is installed directly on a studio’s individual network, making the data secure behind the studio’s own firewall and enabling independent management. Users log in through a standard web browser and the extensive group-based permission structure customizes the UI to present only relevant data to approved users. NIM’s all-in-one design centralizes the bidding process by managing multiple bids per job with individual bid versioning. During production, producers enter expenses and job changes while artists complete tasks and enter timecard information. NIM actualizes the job data against the awarded bid to provide a complete profitability analysis of each project. Artists can track and review shots, see upcoming assigned tasks and write notes on each shot or task directly in NIM. Artists and supervisors can collaborate on video dailies and save a note history for further review. Dailies notes with frame snapshots can be exported as a PDF for distribution outside of NIM. Focusing on productivity and efficiency, the dailies review panel provides a single location for supervisors to review all submitted artist dailies for a particular job. NIM’s pricing structure is built to accommodate both established studios and individual freelancers. Users can choose from a standard one-year licensing agreement for $25 per month per user or a flexible $30 per month per user short-term license. NIM also offers a $10 extended support option per month per user for each pricing structure which includes expedited response times and direct access to support engineers. For more information about NIM, go to https://nim-labs.com/ and watch the NIM video. For a free 30-day trial, contact sales@nim-labs.com. NIM Labs was founded in 2014 by Ntropic founder Nate Robinson and creative director Andrew Sinagra. Robinson and Sinagra first developed NIM nine years ago when Ntropic was a small post production shop. Having an internal management tool helped their artistic and creatively-driven minds manage the post production process from start to finish. Realizing they had developed a one-of-a-kind tool, Robinson and Sinagra stripped down the internal build and rebuilt NIM from the ground up as a flexible tool for other studios to utilize.